The right Grind adds versatility to your game making it easier to play various greenside shots. 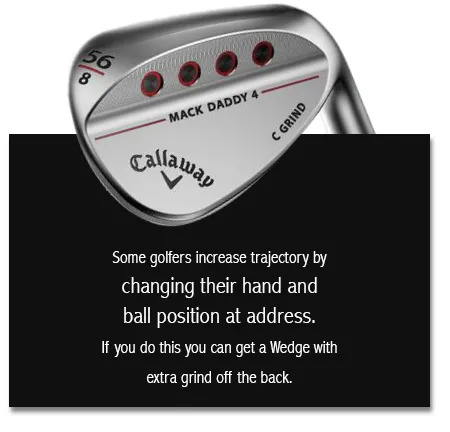 Especially on the wedges you use around the green, spend time getting the right ‘Grind’ and ‘Bounce’. 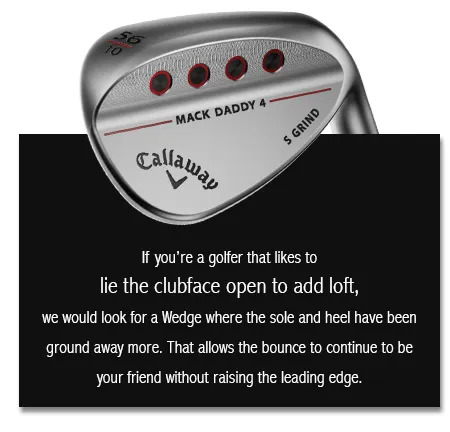 The right grind on a Wedge that supports the way you’re likely to use that Wedge, will make shot-making easier. make sure you get fitted.